This Sunday, families will be gathering to celebrate Easter. If you dread family time, maybe you just need a good game to entertain the horde. We’ve got a list of non-classic board games we think will win you over with Uncle Fred, but won’t make cousin Cindy feel left out. 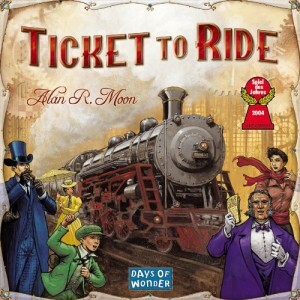 Ticket to Ride is easy to learn and doesn’t take up too much of your time. Players race against each other to be the first to travel the world in only seven days via railway. It is suitable for ages eight and up, takes between 30 and 60 minutes, and supports up to five players. The light-hearted theme of world travel keeps competition friendly. Loaded Questions is the perfect game for people you think you know well. One person asks a question like, “What is your favorite super hero?” while the rest of the players write down their answer. The person asking the question then has to guess who belongs to each answer in order to advance on the board. Zooloretto is fun for family get-togethers. It is a zoo-themed simulation game where players try to generate more visitors by collecting as many animals as possible. Play cardboard tiles within your zoo’s peramiter. Don’t overstock with too much of the same or your visitors will be bored. It plays well with between two and five players and takes about 45 minutes. 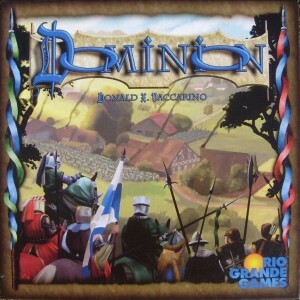 Dominion’s base game is perfect for players of all ages. If you build up the game with the expansions, it may get too complicated for those with a short attention span. So, stick to the basics. In this tactical card game, players buy up land and use special cards to earn the most victory points to win the game. It works well with two to four players and takes about 30 minutes to get through one game. Pandemic is great for a family setting because it is cooperative. Players work together to stop four deadly diseases from spreading across the globe. By selecting different types of characters, the team can spread out the work, the Scientist researches a cure while the Operation Specialist builds research stations. The game is suited for two to four players and takes about an hour to get through.